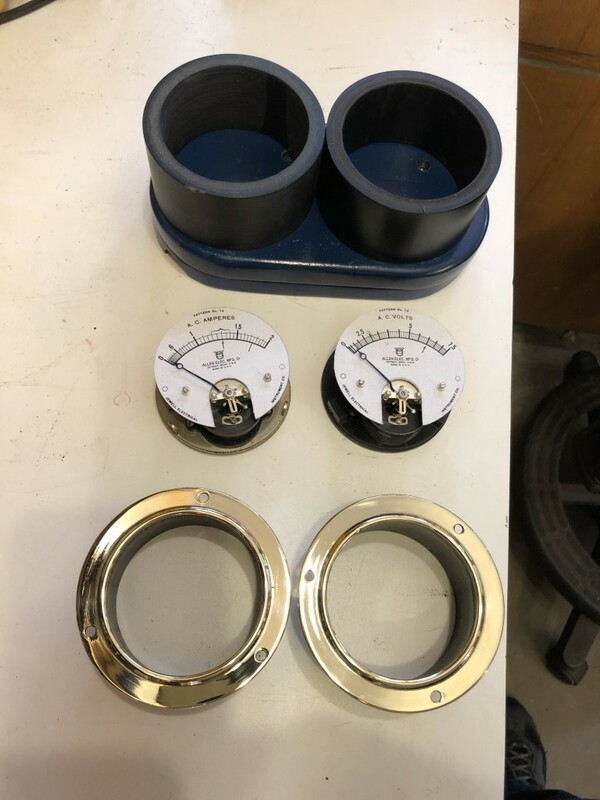 I had a customer request that I :make" a set of meters (Ammeter and Voltmeter) for an Allen HCCT. During our discussion he asked if they could be Brass. 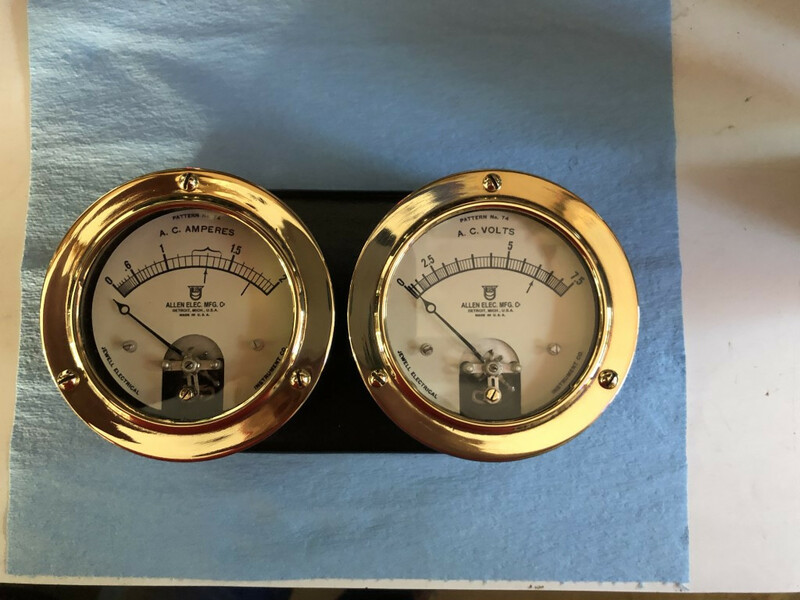 As it turns out, I had two brass panel mount DC Jewell meters. The HCCT meters are AC meters. The first thing I had to do is go through all of my meter parts to find enough parts to make two meters that looked identical. Next I had to rewind both meter coils. 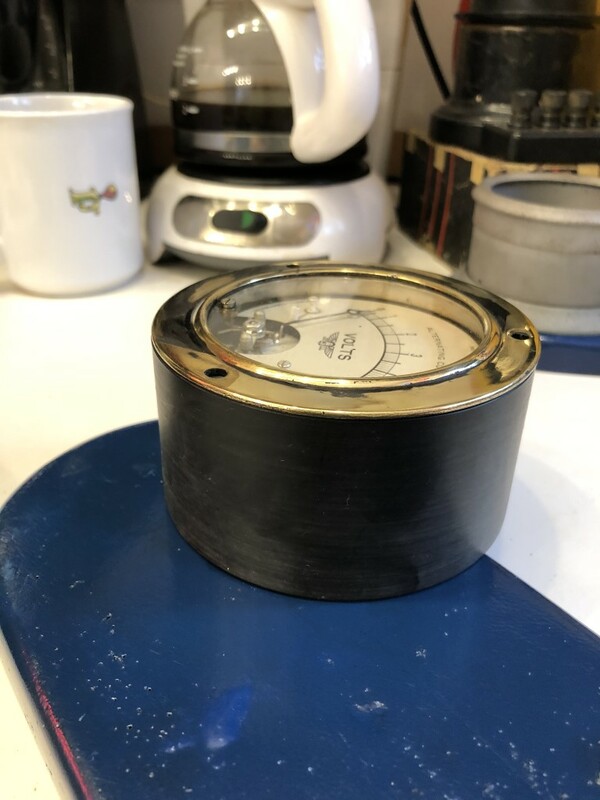 The Ammeter I rewound by hand and the Voltmeter I used my lathe. I made mounting adapters for the panel mount meters. I created the scale artwork and calibrated the meters for HCCT use. Bob, They really look nice... You are a real craftsman! thats better i don't have to turn my 'puter upside down! Another example of fine Craftsmanship. Beautiful work! Must be pretty fine gauge copper wire used to wind the coils. 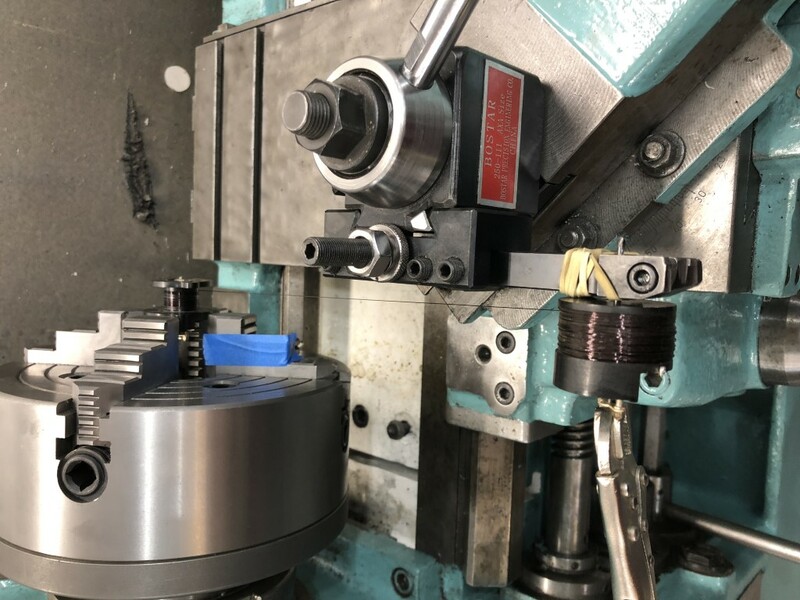 Curious about the process used for creating the dials. G.R. Thanks for the flip. I tried several times to rotate and re-upload and it still came out inverted. Bob - For the art work, I started with a scan of original scale cards and spent a few hours "pixel fixing". Building two meters from scratch with parts from multiple meters was a bigger job then anticipated. 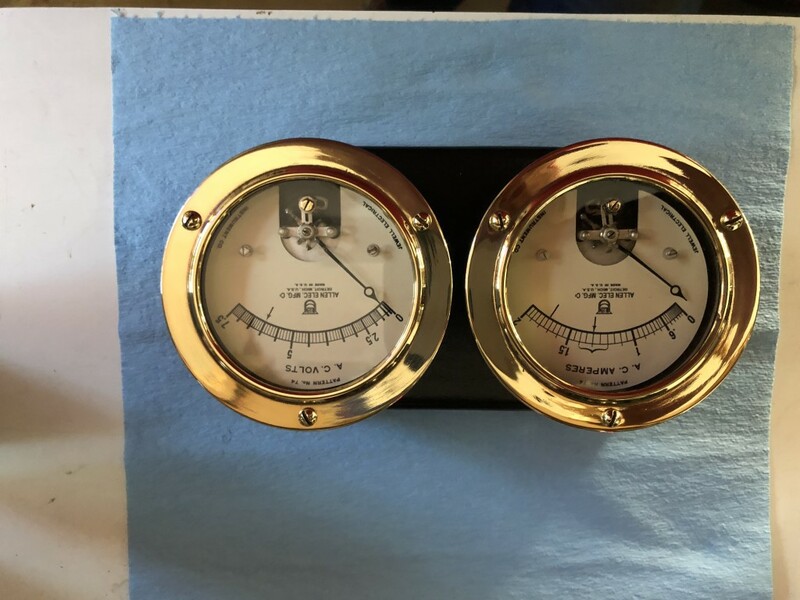 These are the only brass panel meters I have acquired in the seven years I have been doing meters. The surface mount small Jewell meters for the Allen HCCT are the impossible to find. You may view pictures normally on your phone or computer graphics program, but browsers generally display pictures according to their orientation when taken. This data is stored within each picture. 0� = phone was upright (or normal), 90� means the phone was turned sideways to the right, 180� means the phone was held upside down, and 270� means the phone was turned sideways to the left. Any other degree value is displayed accordingly. You need to either strip out the orientation data, or take your pictures with the phone held vertical as is the usual method. I know, I know ... there are times when you need to take a wide photograph ... but an upside down picture means yer holding yer phone wrong. Again, strip out the orientation data - there are programs that do this (i.e. EXIF editors). iPhone photos have always been a hassle. I have long suspected that iPhone photos carry orientation and other data. Thanks for all your help on my projects! I certainly appreciate your talent! Telephones usually exhibit far more data/info than should be known. EXIF data. Yuck.